The Apparition should not be confused with the 2012 film of the same name, starring Ashley Greene, Sebastian Stan, and Tom Felton, about a spirit brought forth by a college experiment that haunts a young couple. I’m sure that sort of apparition flick comes a dime a dozen, but this one, the 2018 French drama, is something else all together. Instead of ghosts, this movie tackles religion, which can be confusing since, what’s the difference? Thinking you saw a dead person in your hallway and thinking you saw the Virgin Mary on a hill is basically the same, fictional experience, and each fantasy has its fervent supporters who claim that what can’t be real most assuredly is. Whether or not you are a believer, The Apparition is here to ask the hard questions, exploring our belief in the paranormal, or as some like to call it, God. Jacques Mayano is an award-winning journalist who has recently returned to France from his latest assignment, where the danger of covering a war-torn country led to the death of his friend and colleague, a photographer who was always at Jacques’ side. Suffering from hearing damage and the emotional toll of seeing a life destroyed, Mayano finds it hard to return to work and to family responsibilities, struggling every day to get back to the world he left behind and which seems to have moved on without him. Completely out of the blue, Jacques receives a phone call; apparently he’s been requested at the Vatican. The church has a sensitive matter that they would like him to investigate, gathering evidence and taking statements, attempting to find not exactly the truth, but rather the experience; a strange job for a respected journalist, but the distraction arrives at a time when he needed it most. Jacques receives some more details along the way; a girl in the French countryside has had a vision of the Virgin Mary, and the excitement in her small town has overwhelmed the local police, and has caused the priest at the local church to declare that he will start a new congregation, going against the wishes of the Vatican. A team is assembled to investigate the girl’s claim, to get to the body of what it is she saw, and to discover, if they can, what type of person she is. The church doesn’t simply want the matter debunked, that’s not how it works, but Mayano finds himself struggling to simply dig for facts, especially when he begins to feel that the young girl, Anna, is in serious trouble. His help isn’t wanted, especially not by Pere Borrodine, the priest who is suddenly the father-figure of a celebrity, but perhaps Anna will accept his aid, since her story isn’t exactly scripture. 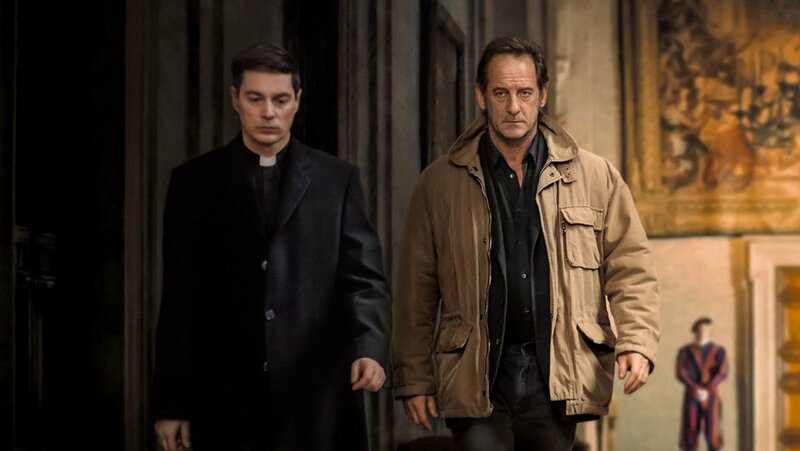 None of French director Xavier Giannoli’s feature films have caught much American attention, and neither did The Apparition when it was released in the States this past September, but I’m confident that, had it been more widely seen, it would have been much more broadly revered. It’s a slow-burning drama if ever there was one, with layers of introspection instead of hours of action, which suited the story, the message, and the actors equally well. At 140 minutes, the run time is an issue, and the plot does take its time developing into something intriguing, but as long as audiences are willing to put in the work, the reward is sufficient. I don’t normally praise movies for forcing us to desire to be sucked in; it’s not my job to get hooked, it’s the filmmaker’s job to hook me. But in this instance, I was confident that the quality was there just beneath the surface, only asking me to lean in to make itself known. 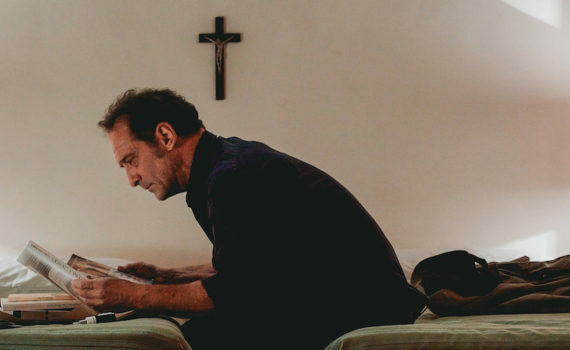 Leading the way was Vincent Lindon, a near-60-year-old French film veteran who has been going strong in the craft for as long as I’ve been alive, and you can easily see how his experience as an actor aided him in diving into this complicated part, and in emerging with something special to see. His performance was great, as was that of Galatea Bellugi, who played Anna, a relative newcomer who held her own beside the daunting presence of this pro. Together they painted a portrait of an experience that had many hidden details under the oil, only revealing themselves when peeled back and examined. The film asks audiences to do just that; to willingly look where we’d rather not, discuss that which is uncomfortable, and leave not knowing the absolute truth. For those who hate the gray areas, this movie won’t be for you, since it refuses to answer all the questions, leaving us to decide for ourselves what we think happened and what we think it meant, sending us away having witnessed something both sacred and sacrilegious, not knowing which side we are on. Video – With an aspect ratio of 2.35:1 Widescreen, and shot using a Sony F65 Mini camera, the video quality of the film was strong enough to support the plot, never too mesmerizing to draw our attention away from what was important. The town and surrounding countryside were lovely, and the cinematography inside the church was excellent, with many memorable scenes that will stick with me. The picture quality of the disc was very nice, and in every way the visuals complimented the movie. Audio – The disc was done in French 5.1 Dolby Digital, with an option of French 2.0 Dolby Digital. Subtitles are available in English and English for the Deaf and Hard of Hearing. The music of the film was instrumental, very powerful, very driving, always carrying a church echo feeling. It went well with the pressure of the plot and with the sense of desperation that the film carried throughout, bolstering the quieter moments with song that also never shook our focus. Extras – There are a few special features on the DVD, including a 10 minute interview with director Xavier Giannoli, a 10 minute audition tape with Galatea Bellugi, a 2 minute featurette on the Zaatari Refugee Camp that features at the end of the film, and also a theatrical trailer. Highly Recommended. The Apparition is strong enough to have been among the Best Foreign Language nominations at last year’s Academy Awards. It’s moody, it’s heavy, it’s full of content and of questions, and it boasts acting from its leads that doesn’t fail the crew behind the scenes. I can’t say how the religious would react to this viewpoint, but I think the film does a fantastic job of not shutting doors in the faces of those who want to believe, while also allowing those of little or no faith to view things from a more pragmatic point of view. What you perceive as real is real in its consequences, right? And this movie doesn’t pretend it knows what the truth of spirituality is, only that we are all experiencing life at the same time, not from the same place. The video is top-notch, the audio solidly done as well, and there are a few extras on the DVD, so the technical aspects won’t let audiences down. Although a bit long, a bit long-winded, and featuring an ending that not everyone is going to be satisfied with, this film has real power, and that’s rare enough that we need to notice it when it appears.